Chip Lord live from the NMC Media Lounge at the College Art Association conference::: Friday, February 23, 12:00pm (Pacific Standard Time ::: West Coast – US) ::: Networked Conversations is hosted by Randall Packer ::: live & online & free via Internet chat. Networked Conversations will feature a live Webcasted interview with media artist Chip Lord live from the NMC Media Lounge at the College Art Association Conference in Los Angeles. Best known for his installation and architectural work with the media collective known as Ant Farm, which he co-founded with Doug Michels in 1968, later joined by Hudson Marquez and Curtis Schreier, Chip Lord collaborated on such iconic works as Cadillac Ranch (1974), Media Burn (1975), and the Eternal Frame (1975). 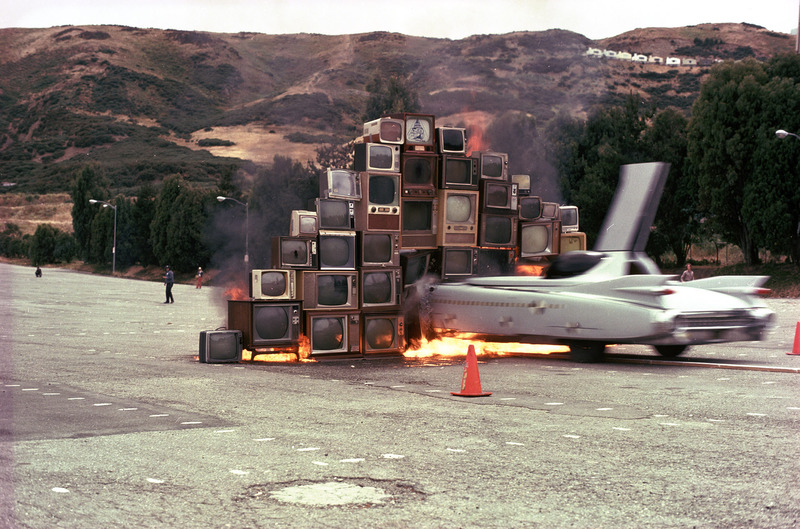 Ant Farm used satire to look at American myths and legends, and they pioneered cross-disciplinarity by combining performance, sculpture, architecture, graphic design and installation in their critical practice. Ant Farm, associated with artist collectives that pioneered experimental video and performance during the socially transformative period of the 1960s and 70s, is self-described as an “art agency that promotes ideas which are important vehicles of cultural introspection.” During the 1980s, Chip Lord began teaching at the University of California, Santa Cruz Department of Film and Digital Media, where he is currently a Professor Emeritus. Networked Conversations invites active participation and dialogue that unites local NMC New Media Lounge attendees with a global, online audience in a networked third space environment: collapsing geographical and cultural boundaries via participatory Internet chat.